There is a gathering of Davaoeños at the foot of Mt. Apo. They’ve brought the best of the year’s produce – fruits, vegetables, rice, nuts, berries – everything that they managed to grow on the fertile lands of Davao’s 11 tribes. The bounty is laid on a mat on the ground as loud singing emanates from the crowd, prompting many to start dancing and exalting praises. The people are speaking and singing in different languages but praying to one diety – Manama – to whom the united tribes of Davao give thanks. This ritual is the origin of the modern Kadayawan Festival, the local community’s thanksgiving celebration of nature, life, and abundant harvest in the coming year. 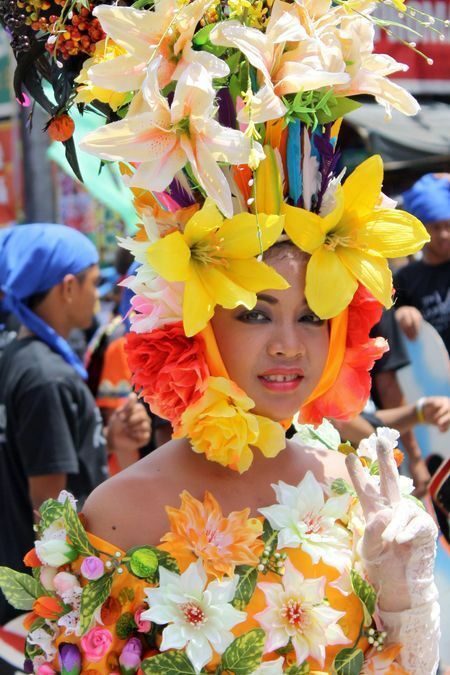 Today, it has transformed into a large festival that takes the colorful culture of Davao to the streets. In 2017, the highlight of the festival was Kadayawan Village, in which there was a traditional house built to showcase the culture of each of Davao’s 11 ethnolinguistic tribes. During the opening ceremony, dubbed Pag-abli sa Kadayawan, each of the tribes performed their respective rituals for their houses – a cacophony of sacred songs and dances to signal the beginning of the festival. This was followed by the reenactment of how the 11 tribes first settled along the Davao River. Another reason to see the festival is the Dula Kadayawan, wherein locals compete against each other in traditional lumad and Muslim games. Meanwhile, Hiyas sa Kadayawan put a different spin on the classic beauty contest as Davaoeño beauties who live urban lifestyles are tested on their knowledge of their own indigenous roots. These are why Davaoeños are deeply in touch with their roots. 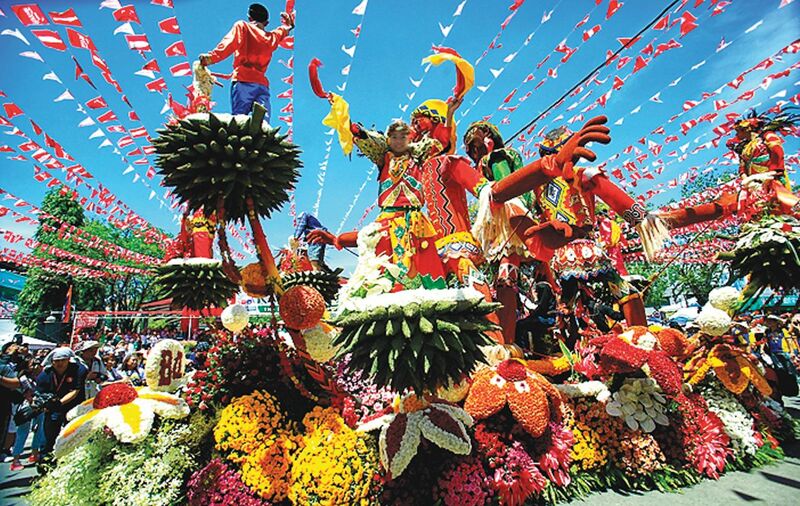 Kadayawan Festival happens yearly in Davao City during the third week of August. Apart from the competitions, colorful costumes, indigenous music, and dancing in the streets, another reason to visit Davao during this time is the cheap and high quality produce that will be available for purchase. Don’t you dare leave Davao without at least having one bite of the local durian fruit. For first-timers, once you get past the strange and strong smell, you’ll be surprised at how yummy it actually is – and even if you don’t like it, at least you can say you’ve tried it. Kadayawan is actually just one of a number of reasons why you should see this city in the south. Philippine Airlines details how Pearl Farm and Mount Apo in Davao are some of the other popular tourist attractions that you can visit when you’re in the city. 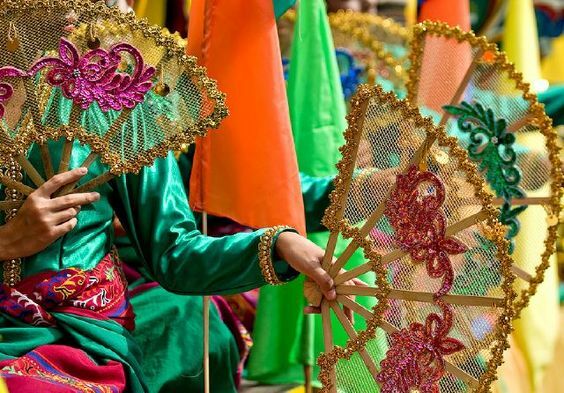 In case you arrive too early or too late for Kadayawan Festival, there’s no shortage of things to do in this city. You can also check out the Philippine Eagle Centre to see some of the magnificent eagles in captivity as well as learn more about the country’s efforts to preserve this and other endemic bird species in Mindanao. If you’re the type of traveler who needs some quiet time in the middle of an adventure, there are several awesome books that you can take with you on your trip. Whether you’re waiting at a terminal or sitting in your hotel room, reading a book is a good break from staring at your phone/laptop and reviewing your own travel photos. After all, a great book is a good excuse to step away from the keyboard from time to time.